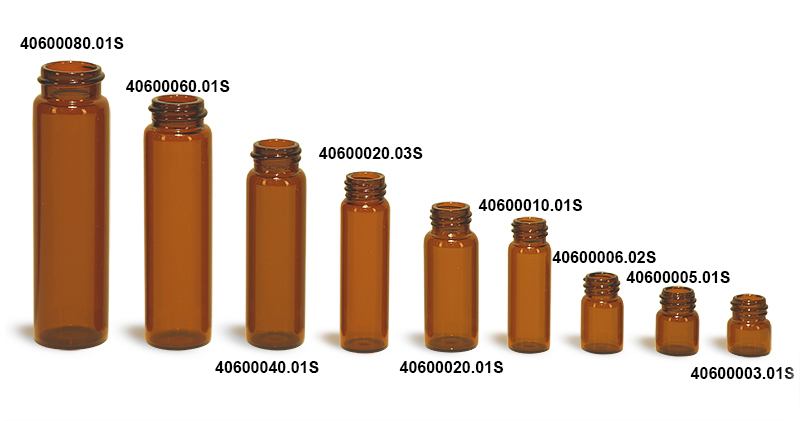 The amber glass screw thread vials range in size from 1/3 dram to 1 dram and come with black phenolic PV lined caps with orifice reducers. The orifice reducers can be useful if your product needs to be dispensed in small amounts. 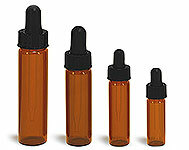 You can purchase the amber glass vials in case packs of 48 or 144 pieces.